The Mr Strada is constructed on a lightweight thermoplastic HRT shell that was developed to make an ultra safe but light helmet for road and race riding. A hypoallergenic internal liner prevents any irritation and reduces the build up of bacteria to keep the helmet smelling fresh, while the micrometric buckle system allows you to finely adjust the fit for maximum comfort and safety. Like all Airoh motorcycle helmets the Mr Strada youth helmet was meticulously designed to be safe and affordable while offering modern features that make wearing their helmets that bit more enjoyable. Airoh has a history of motorcycle helmet manufacturing going back to 1986, being developed & built in Italy bringing Italian design and high performance features to the world. 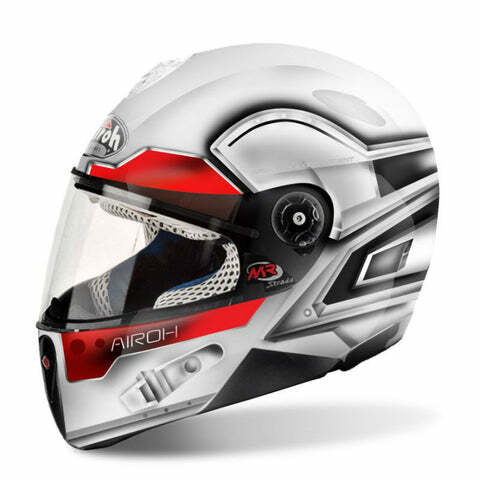 Airoh bring innovative designs, together with their passion for motorcycles to create some of the most popular road and race helmets on the market.